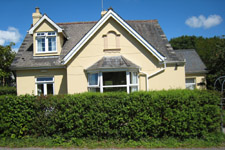 Camphill Devon provides accommodation and support to adults with a learning disability. We offer registered residential accommodation at Hapstead Village in a beautiful setting on the edge of the Dartmoor National Park. Supported living is also provided in the Teignbridge and South Hams area of Devon. If you think you could support Camphill Devon and help improve the lives of adults with learning disabilities here in Devon we’d love to hear from you. Donations and Fund Raising activities are always welcome!